Brexiteers had warned of “Judgement Day,” but opponents of British Prime Minister Theresa May are reportedly six letters short of the 48 threshold needed to trigger a no confidence vote on her leadership. May said on Sunday that toppling her would risk delaying Brexit and she would not let talk of the challenge distract her from getting the support of the U.K. business community ahead of a critical week of Brexit negotiations. “We put tariffs on $250B in Chinese goods, and we could more than double that number,” Vice President Mike Pence told the APEC summit, stating the “U.S. will not change course until China changes its ways.” The warning follows remarks made by President Trump that helped the Dow close higher on Friday. The U.S. “may not” need to impose more tariffs after China sent over measures it was willing to take to resolve trade tensions, he said, adding that “we’ll probably get to the four or five big things that were left off” the list. President Trump has called the CIA assessment blaming Saudi Crown Prince Mohammed bin Salman for the killing of Saudi journalist Jamal Khashoggi “very premature” and said he will receive a complete report of the case on Tuesday. Saudi Arabia plays an important role in the oil markets, counters Iran’s influence in the region, and President Trump has repeatedly said he doesn’t want to harm U.S. defense contractors by blocking U.S. arms sales to the kingdom. Stocks retreated again this week. The S&P 500 fell 3.76% and closed at 2,632.56. The Dow Jones dropped 4.39% and closed at 24,285. Year to date, the S&P is up 0.26% and the Dow Jones is up 0.32. Yields dropped slightly from last week. The 5 year and 10 year U.S. Treasury Notes are yielding 2.87% and 3.04%, respectively. The spot price of WTI Crude Oil fell sharply this week, losing another 11.10% and closing at $50.39 per barrel. Year to date, Oil prices are down 16.17%. The spot price of Gold rose 0.05% this week and closed at $1,223.93 per ounce. Year to date, Gold prices are down 6.06%. Housing starts increased 1.5% in October to 1,228k, and September starts were revised up 9k to 1,210k. The composition of the report was somewhat softer, as the volatile multi-family category increased 10.3% but single-family starts declined 1.8%. Housing starts declined in the Northeast (-34.1%) and West (-4.6%), and increased in the Midwest (+32.9%) and in the South (+4.7%), where there is potential scope for further recovery as the rebound from Hurricane Florence was likely offset by a drag from Hurricane Michael.. Existing home sales increased 1.4% month-over-month in October to a seasonally adjusted annualized rate of 5.22 million units, above expectations and the first increase in 6 months. October home sales increased among single-family units (+0.9%) and among condos and co-ops (+5.3%). Sales rose in the West (+2.8%), South (+1.9%), and Northeast (+1.5%) regions and declined in the Midwest (-0.8%). The University of Michigan’s index of consumer sentiment declined 0.8pt to 97.5 in the final November report from the preliminary report. The survey’s current conditions (-0.9pt to 112.3) and expectations (-0.6pt to 88.1) components both moved down from their preliminary readings. The report’s measure of 5- to 10- year inflation expectations remained unchanged at 2.6%. In the week ended November 17, initial jobless claims increased by 3k to 224k—the highest level since June—against expectations for a decrease. The four-week moving average of claims increased by 2k to 219k. Jobless claims increased by 3k in California and Texas, and by 2k in Illinois. Claims declined by 2k in New York. Nationwide continuing claims—the number of persons receiving benefits through standard programs—declined 2k to 1,668k in the previous week. The insured unemployment rate remained unchanged on a rounded basis at 1.2%. The OPEC meeting on Thursday concluded with an agreement to extend oil production cuts for an additional nine months, however crude oil prices fell sharply on the day despite the positive result as expectations were high after OPEC displayed unusual optimism prior to the meeting. Iraq was surprisingly in support of the production cuts as they have been one of the more hesitant OPEC members to favor production cuts in the past. There still remain OPEC members that will not be required to comply with the extension cap such as Libya, Iran, and Nigeria. President Trump has submitted a budget proposal that aims to cut $3.6 trillion in spending over the next ten years which includes cutting Medicaid and other social programs. The budget entails a $4.1 trillion spending allowance in 2018 which includes defense, border security, and infrastructure. The U.K.’s terror threat level was raised to “critical” after an explosion following the Ariana Grande concert in Manchester, England killed 22 people and injured 59. Salman Abedi is the name of the man believed to be responsible for the attack and Prime Minister Theresa May raised the U.K. threat level to its maximum level of “critical” implying that another attack is potentially imminent. Markets ended the week on a positive note. The S&P 500 rose by 1.47% and closed at 2,416. The Dow Jones gained 1.35% for the week and closed at 21,080. Year to date, the S&P is up 8.78% and the Dow is up 7.75%. Interest rates edged higher this week. The 5 year and 10 year U.S. Treasury Notes are now yielding 1.79% and 2.25%, respectively. The spot price of WTI Crude Oil lost 1.74% this week, closing at $49.79 per barrel. Year to date, Oil prices have fallen 7.32%. The spot price of Gold ended the week higher, closing at $1,267.14 per ounce. Year to date, Gold prices are up 10.43%. Initial jobless claims increased by 1,000 from last week, coming in at 234,000. Most of the increases in claims were attributed to California and Michigan. The four week moving average for claims dropped to 235,000. Sales of new single-family homes fell 11.4% in April reaching a four-month low, however, new home sales in the prior three months were all revised upwards. The decline in April was largely attributed to new single-family home sales in the West. Existing home sales fell 2.3% in April, but still remains at a March cycle-high. Existing sales of single-family units fell by 2.4%, while sales of condos declined by 1.6%. Existing home sales decreased in the South, West, and Northeast, but increased in the Midwest region. The recent loss of momentum in the housing market and existing home sales is believed to be the negative affect from higher mortgage rates. During the May Federal Open Market Committee meeting on Thursday, the Fed concluded that “it would soon be appropriate” for another rate hike. There is an 80% probability of a rate hike in June and another hike is expected in September. The Fed also noted that the weak Q1 GDP figure was likely transitory. 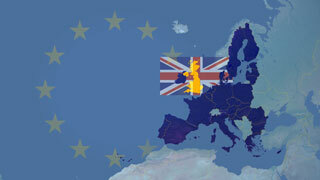 The United Kingdom has spoken and its decision is for the nation to Leave the European Union. 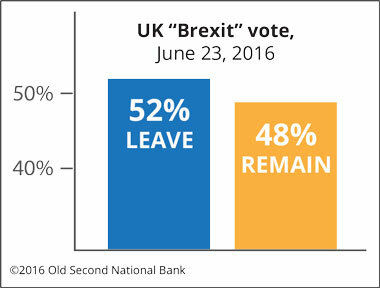 With all of the votes counted in the Brexit referendum, ‘Leave’ was victorious over ‘Remain’ by a margin of 52% to 48%. The result was a surprise to book makers and financial markets, both of which had heavily priced in a status quo result. Equity markets are sharply negative this morning, particularly overseas, and currency markets are quite volatile as they attempt to digest the surprising outcome. UK Voters have had issues with the trade and particularly the immigration policies that had been imposed by the European Union for quite some time. The populistic belief that they had ‘lost their country’ to immigrants was the overriding reason for the ‘Leave’ vote. In response, Prime Minister David Cameron announced that he would resign and a replacement would be selected by October. So what now? It should be noted that this will not be a fast process for the U.K. to leave. There is a two year negotiation period in order to establish new trade deals with the remaining EU members, all of which require parliamentary approval. The vote may also lead to other independence votes by other disgruntled EU members down the line, though EU officials will try to suppress these movements by making the terms of the UK’s exit as unattractive as possible. 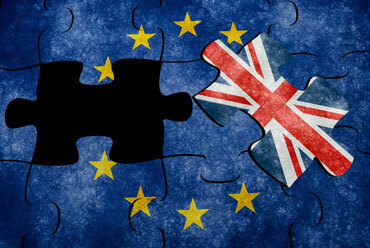 The longer term economic impact on the UK and Europe in general is up for debate, with many believing that all parties will be better off for the split, however short term volatility will likely continue as the details are worked out. We at Old Second Wealth Management focus on long term investing, and market volatility such as this often presents opportunity to invest at depressed prices. If you have any questions or concerns, please do not hesitate to reach out to your Old Second Relationship Manager or Investment Officer. Despite last week’s report that an agreement between Britain and European Union was on track, British Prime Minister David Cameron has announced a historic referendum to decide whether the United Kingdom should remain in the EU. Though Cameron himself strongly favors remaining in the economic bloc, he lost the backing of London Mayor Boris Johnson, who became the most high profile supporter of a British exit, or Brexit. The referendum is set to take place on June 23rd and the announcement set off a plunge in the value of the British Pound. Finance ministers and central bank governors from the world’s 20 leading economies have convened in Shanghai to discuss a response to the dim global economic landscape. G20 participants will discuss many issues including the plunge in commodity prices, increased market volatility, exchange rates and the slowdown of China’s economy. Markets continued to gain back ground this week. The S&P 500 gained 1.61% and closed at 1,948. Likewise, the Dow Jones rose 1.52% and closed at 16,640. So far in 2016, the S&P is down 4.33% and the Dow is down 4.03%. Interest rates rose modestly this week. The 5 year and 10 year U.S. Treasury Notes are now yielding 1.24% and 1.77%, respectively. The spot price of WTI Crude Oil gained 3.43% this week to close at $32.43 per barrel. WTI Crude has fallen 16.08% in 2016. The spot price of Gold decreased 0.27% this week, closing at $1,223.46 per ounce. Year to date, gold prices are up 15.30%. Initial jobless claims came in at 272,000 which was an increase from last week’s reading of 262,000. The Labor Department noted no special factors in the data. The four week moving average for claims moved down to 272,000. The Case-Shiller home price index rose 0.8% in December, slightly lower than expectations of 0.9%. Of the 20 city index, 19 showed price increases during the month. Over the last 12 months, home prices as measured by the index have risen 5.7%. The headline PCE index (measure of inflation) rose by 0.1% in January, better than expectations of flat prices. Over the last 12 months, prices as measured by PCE have risen 1.3% vs. forecasts of 1.1%. Core PCE (excludes food and energy prices, preferred measure of inflation used by the Fed) was up 0.26% in January, narrowly beating expectations of 0.2%. Over the last 12 months, core PCE is up 1.7%, closer to the Federal Reserve’s goal of 2.0% inflation. GDP growth in the 4th quarter of 2015 was revised up to 1.0% from the initial estimate of 0.7%. This was better growth than had been expected by the consensus (0.4%). According to the National Association of Home Builders, over the last 30 years, the average size of a new single family home built in the U.S. has increased by 935 square feet to a total of 2,720 square feet. This is roughly the equivalent of adding a 30’ by 31’ room.